So part of my stock in the physical shop has always included a few blankets which are usually the size of a cosy sofa throw because that suits the size of my big loom. 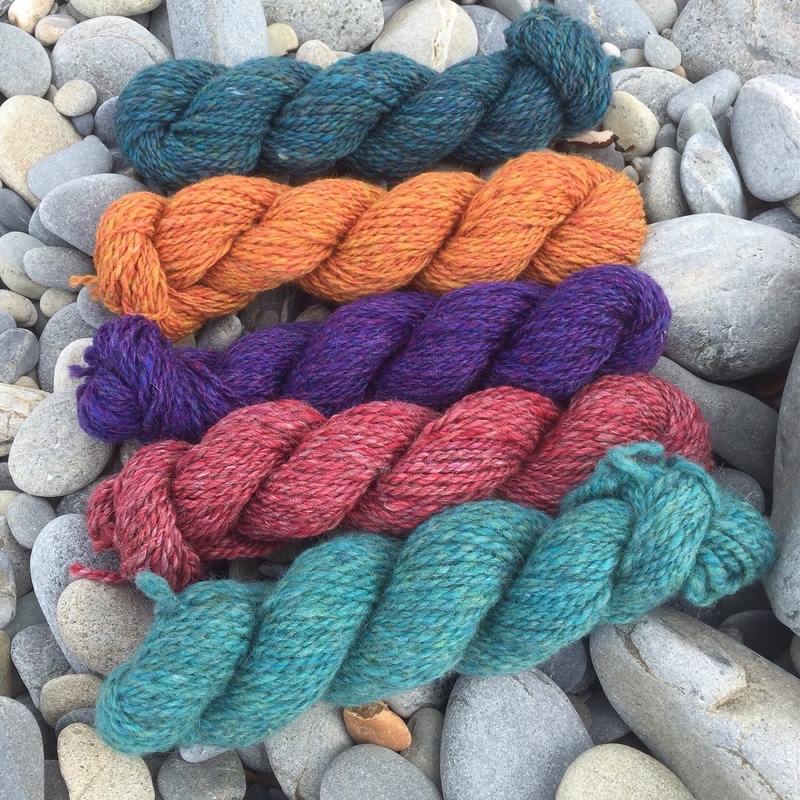 My favourite ones always involve hand spinning the warp and then using a locally commercial spun yarn. 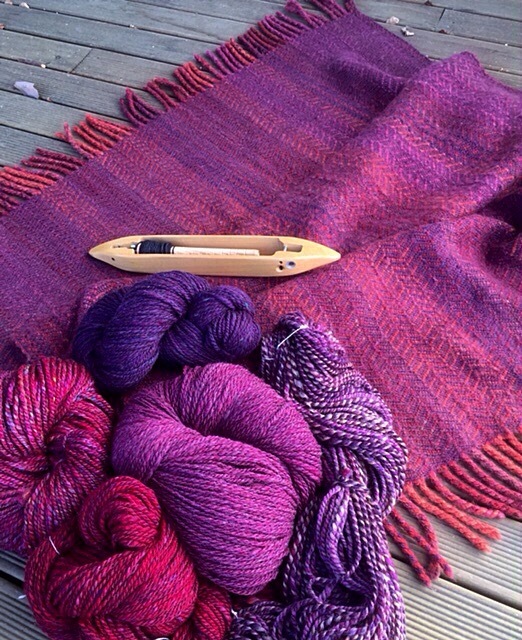 I rarely use ultra soft yarn in the warp for these as I want the blanket to be robust and last. 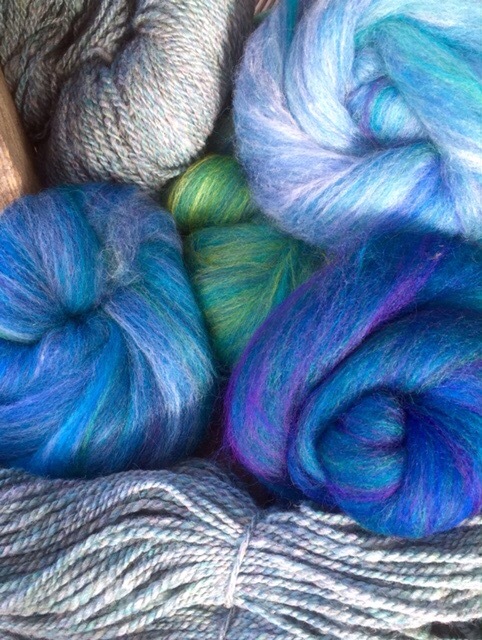 Plus we have wonderful wools grown in this country which have strength, lustre and character. 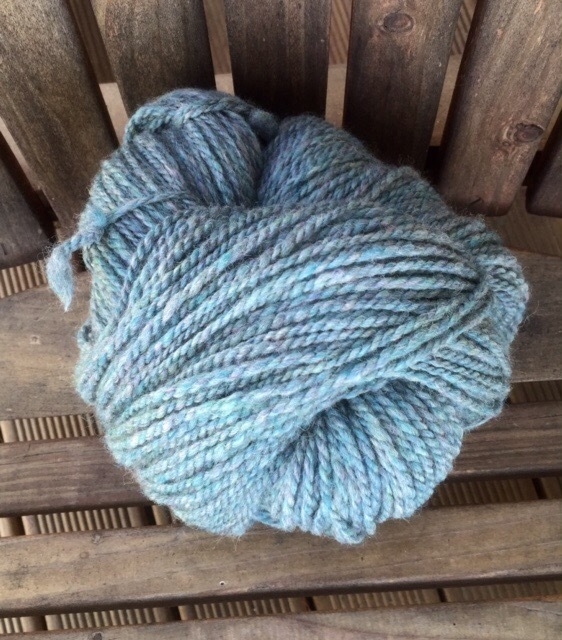 The fibre I love to use in my warps may include anything with NZ Romney, Corriedale, Perendale, Gotland and Cheviot and blends of these sheep. 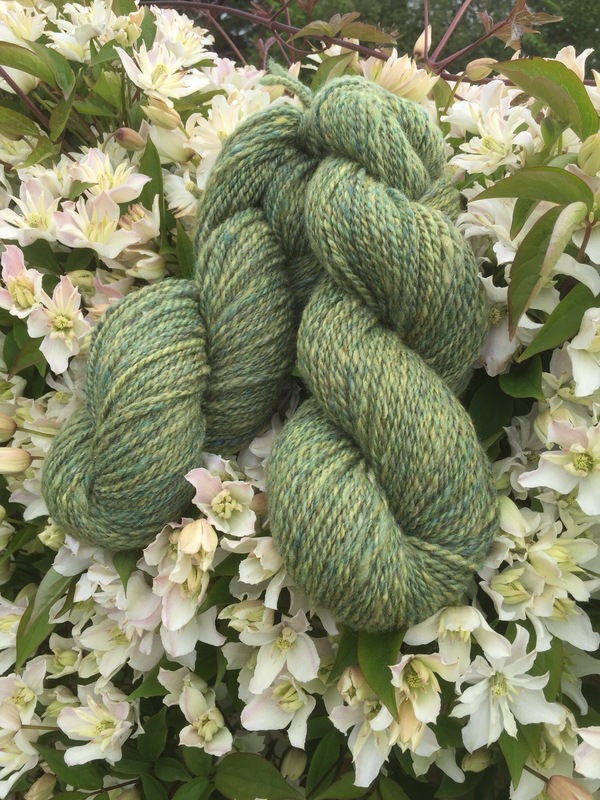 I also include naturally coloured wool which I may or not overdye. My next batch are going to have Corriedale warps. Since the area nearby where I live is Corriedale where James Little originally came up with the Romney/Lincoln cross in the late 1800’s. 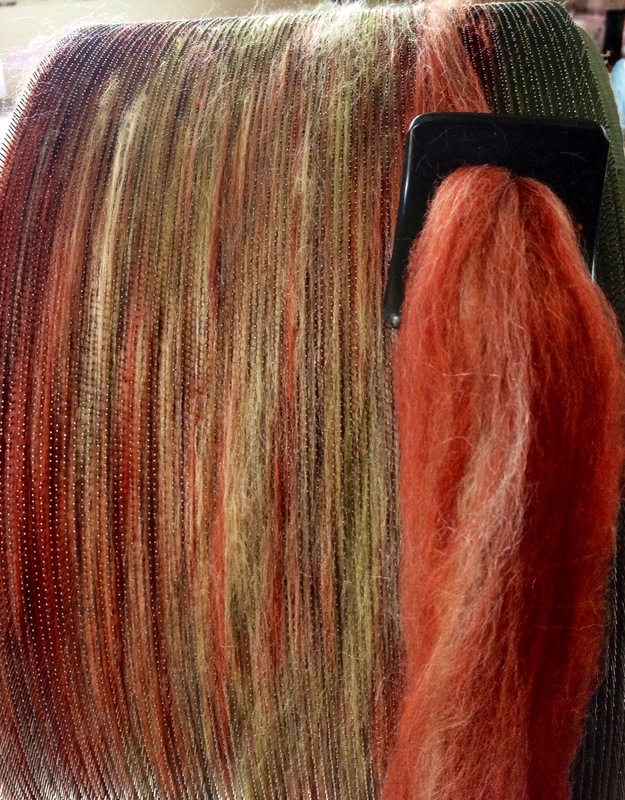 Corriedale is such a versatile fleece with the softer ones suitable for apparel. 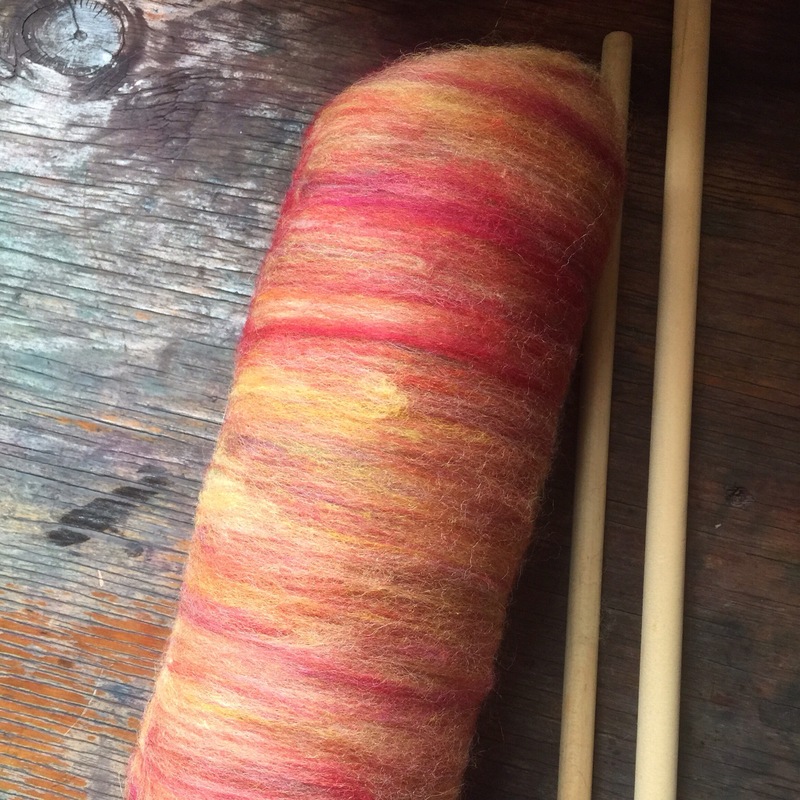 The fibre is bouncy and elastic and really easy to spin. For this batch of throws I’m using Ashford Handicrafts carded sliver for its palette of colours which I can blend into a never ending rainbow of colours. So all the texture and character is in the warp and the alpaca or wool yarn I use for the weft is usually finer weight and acts like the glue disappearing somewhat into the background hopefully and allowing the warp to feature. The blanket in the background is our personal one, a prototype which is now several years old. The cat has fluffed the alpaca weft a bit and so I do depil the fabric every year or so. 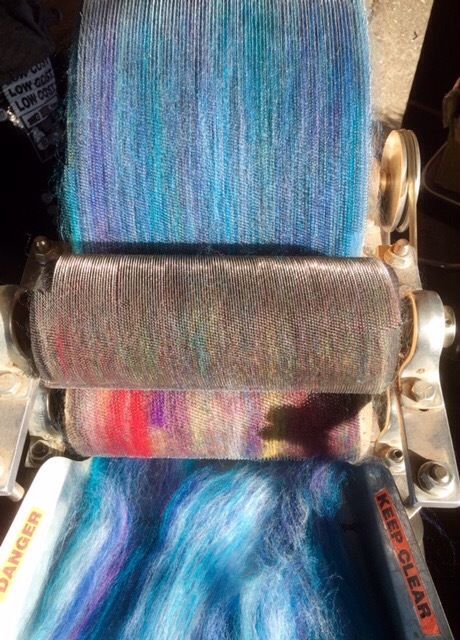 I’m probably crazy spinning all that warp since it’s hard to charge fully for all the hours I put into the carding and spinning, but weaving with handspun is just such pleasure. I love the texture and variations along the diameter of the strands and how the colours move across the fabric as I weave. beautiful colours…just want to sink your fingers into it too!